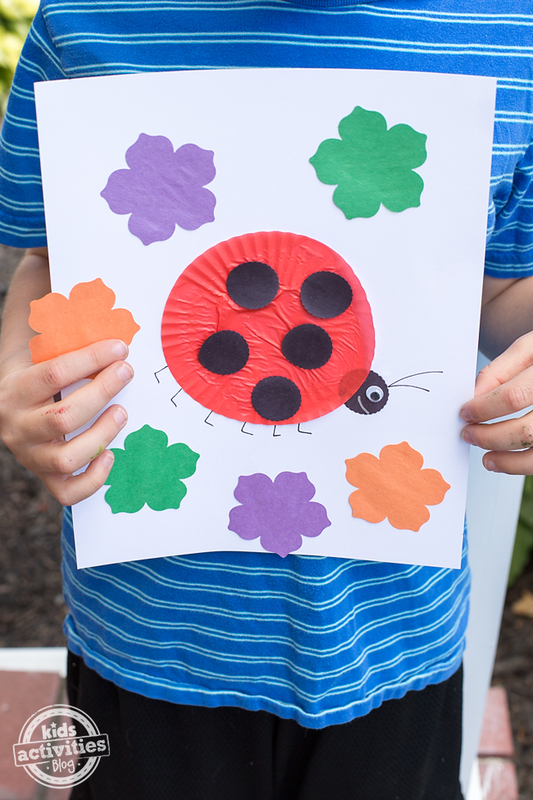 This craft is fun for home, school, or camp because it requires minimal, basic craft supplies. It’s especially frugal and perfect for little hands! 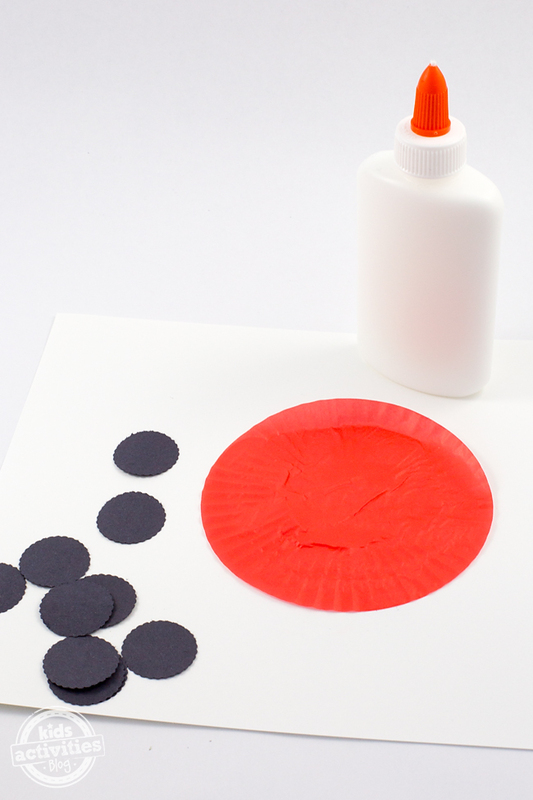 After gathering supplies, flatten the red cupcake liner and glue it to a piece of white paper. 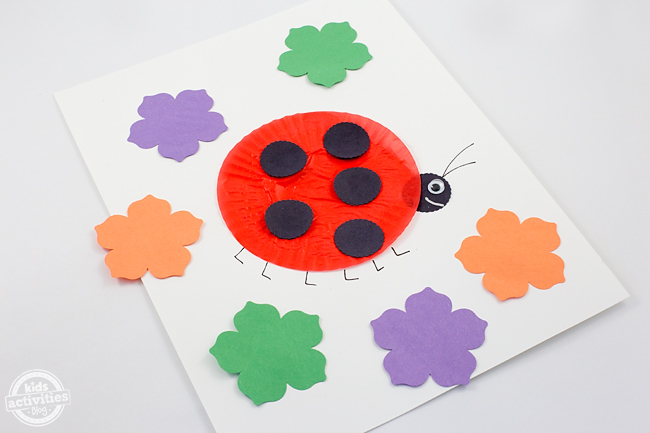 Use the round paper punch or a black marker to put dots on the ladybug. Invite your child to use the black pen/marker to draw legs and antennae on the ladybug. 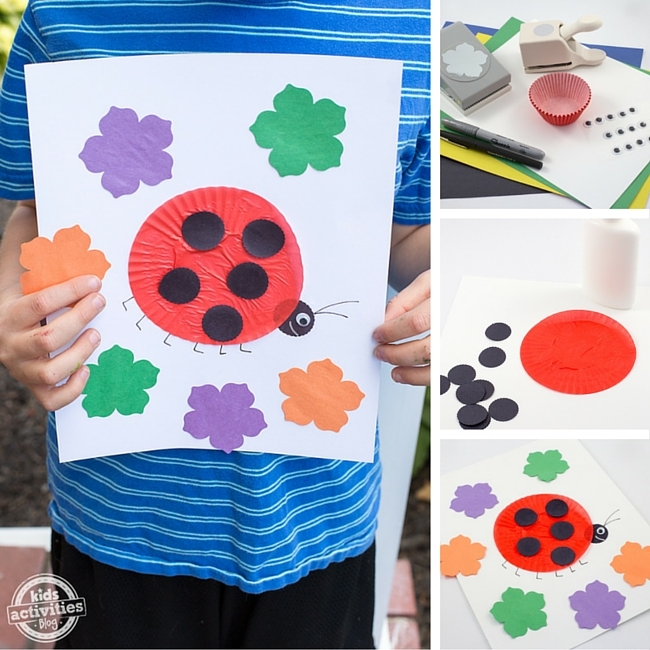 Use the silver/white Sharpie or crayon to draw a sweet little smile onto the ladybug’s face, then attach 1 wiggly eye to the ladybug with glue. 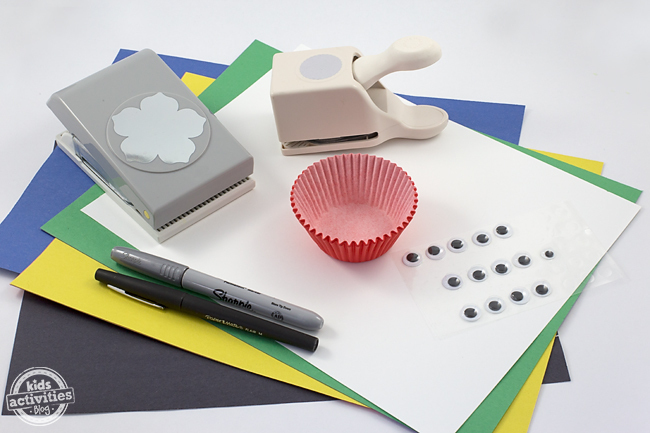 If desired, use a flower paper punch to create a colorful garden for the cupcake liner ladybug. Kids could also draw flowers with markers or crayons.